In a non English country release, that would mean that end users had to deal with two languages in one application. 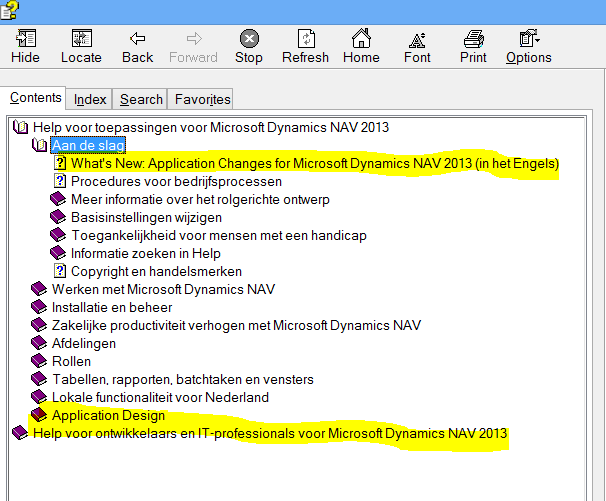 The Microsoft Dynamics NAV Classic Help would show up in the language of the country release they were working with and the C/SIDE Reference guide would always show up in English. The expectations were that end users would not start the C/SIDE Reference guide. 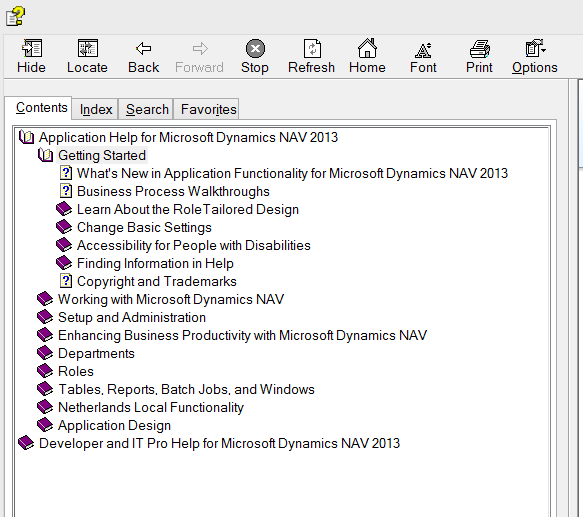 The C/SIDE Reference guide can be found for this release in %programfiles%\microsoft dynamics nav\60\documentation\developer guides or %programfiles(x86)%\microsoft dynamics nav\60\documentation\developer guides. NOTE: the yellow marker indicates the non English section within the online help. 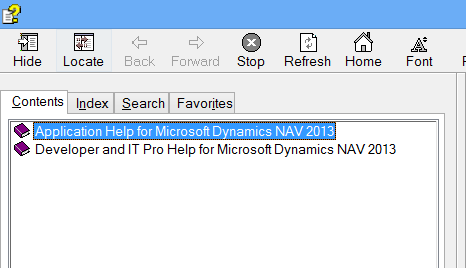 Our expectations are that an end user will look for his / her own content and especially for the translated contents that is in Application Help for Microsoft Dynamics NAV 2013. Searching through the Online Help may give him English search results which could possibly confuse the end users. That chances that this will happen are low.